Ald. 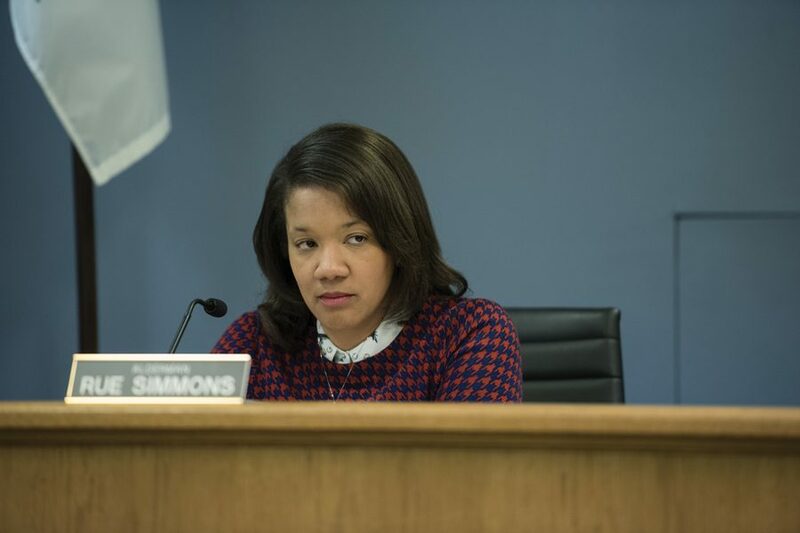 Robin Rue Simmons (5th) at City Council on Monday. Aldermen voted to dismiss a proposal for a restaurant in the 5th ward. Aldermen unanimously voted down Rubie’s, a proposed restaurant and community center in the 5th Ward, at a Planning and Development committee meeting Monday. Aldermen denied applicant Robert Crayton a special use permit for 1723 Simpson St., the proposed location of his restaurant. They voiced concern over the building’s code violations and Crayton’s alleged past misconduct. In April 2017, Crayton was charged with five counts of felony unlawful delivery of a controlled substance for allegedly selling heroin to undercover officers, according to the Chicago Tribune. Ald. Robin Rue Simmons (5th) noted her opinion of the project has not changed since the beginning, but said Monday’s meeting was necessary for Crayton to “go through the process” and answer questions about his project. She said the project fell short in her assessment. In January, Crayton told The Daily he wanted to create a multipurpose area where residents can stay safe and busy. He said he wanted to start with a small restaurant with no seating and build a community space up from there. Ald. Melissa Wynne (3rd) said Crayton’s “current pending legal proceedings” meant she could not support the approval of his restaurant. Rue Simmons also said she was concerned about the previous use and activities in the building at 1723 Simpson St. In 2011, the building’s former owner was arrested on allegations that he had been selling crack cocaine and conducting fraudulent transactions using Illinois Link cards. During public comment on Monday, Evanston resident Betty Ester discussed the code violations presented at the Jan. 22 Planning and Development committee meeting. In January, aldermen delayed granting a special use permit until Crayton removed bars from the windows and replaced glass block windows with transparent glass. She also mentioned the restaurant has only one handicapped bathroom, the other code violation discussed at the January meeting. Rue Simmons said she was “unwavering” and “transparent” about the codes prohibiting block windows and it contributed to her decision to vote down the proposal.